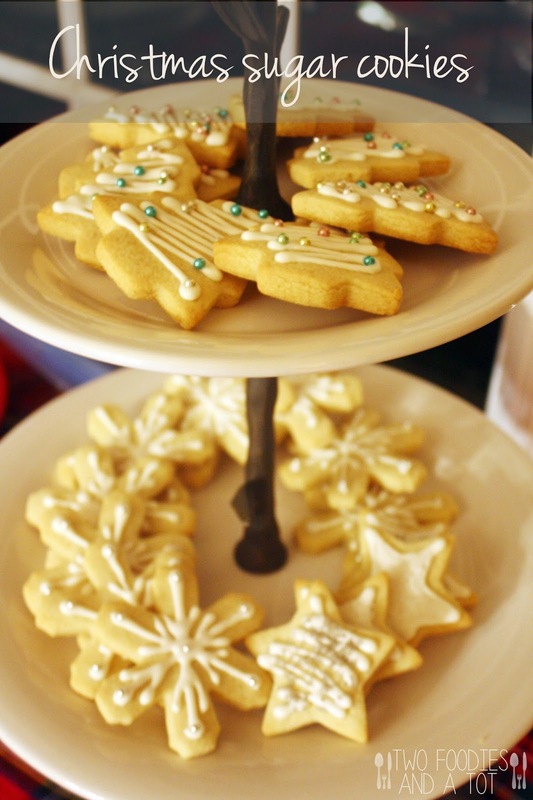 I have tried many sugar cookie recipes. Mostly ones that needs chill time and even then, my cookies wouldn't have the same results every time depending on how patient I am and how fast I cut out the cookies. Sometimes successful, sometimes spreads. But when I found this recipe a couple of years ago, that was it. No more search for sugar cookie recipes. I've done Christmas cookies with it, cute spoon shaped cookies for tea parties, made birthday favor for my tot and so on. And I am happy with the results every single time. When I was pregnant with my tot, I took a cake decorating course. That's when I didn't think much about food coloring and went to town with all kinds of fancy color and decorations. Although I rarely ate what I made because I just didn't have sweet tooth during pregnancy. Ever since I had my tot, well more like ever since my tot started to eat real food, I started to think more about what I use in food. My decorations tend to be a little more simple now, as I try to avoid food coloring, though some special occasions for certain themed party, I sometimes use natural food coloring from vegetable concentrate that you can buy. Long story short, that's why my cookies now only have white icing these days. I did try with matcha powder(green tea powder) this time. Because I love matcha taste, I loved it. But color was obviously not vibrant. It's like gloomy greyish green and that is why they didn't even make it to the dessert table at the party. So I did some research and found out that if you don't have the natural food coloring, some people use spinach juice for green. Simply blend the spinach and squeeze the juice out of it and use it in the icing rather than water and you don't taste spinach. I have not tried it but it's a brilliant idea and I will definitely try next time. I have omitted almond extract a few times in the past and taste was just as good even though almond extract does add another layer of flavor. So if you're not a fan of almond flavor or have food allergy concerns, simply omit it. 1. Preheat the oven to 350F. Cream the butter and sugar until smooth. 2. Add extracts and egg. 3. Combine baking powder and flour in a separate bowl and add it to the wet ingredients little by little. Dough will be stiff. 4. Do not chill the dough. Roll it out and cut out cookies. Place on a lined baking sheet and bake for 6-8 minutes or when they start to brown a little. (I usually bake mine for closer to 8 minutes.) Let cool on the sheet until firm enough to move and transfer the cookies to a cooling rack. 5. 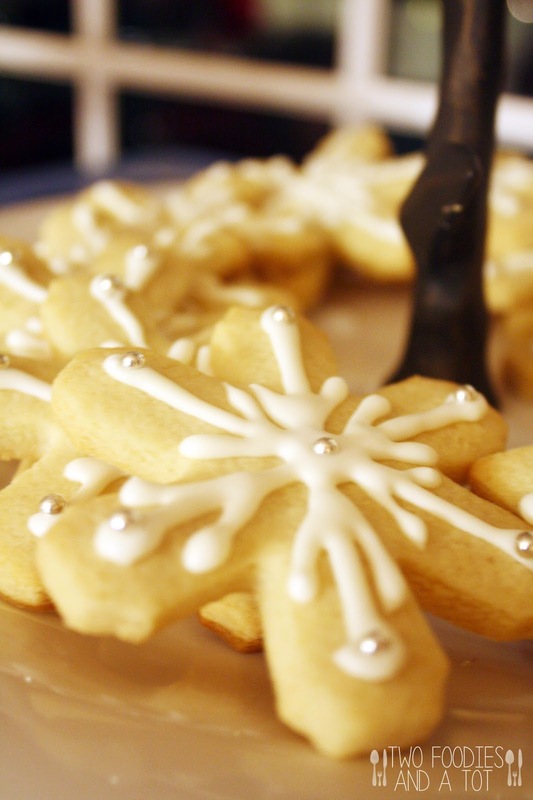 When all the cookies are completely cooled, Make the royal icing. Beat all the ingredients until it forms stiff peaks. 6. 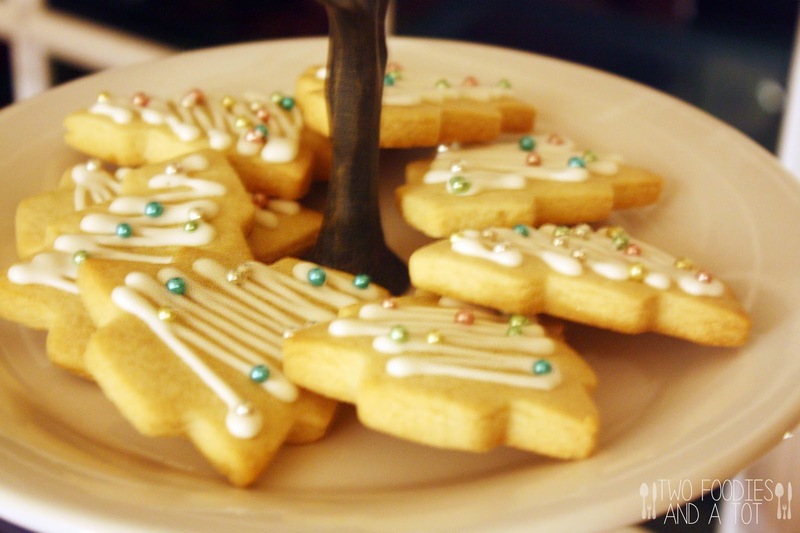 Put the icing in a pastry bag with a piping tip or just cut the end of a pastry bag and decorate the cookies.